What’s compact, and fires down or front, if you want it to? The Polk Audio DSW PRO 440wi Put it in a corner, or inside a cabinet. No other subwoofer gives you the placement flexibility of this smart, powerful subwoofer. It’s the easiest way to add deep bass excitement to any system, including a compact speaker array or a sleek SurroundBar installation. 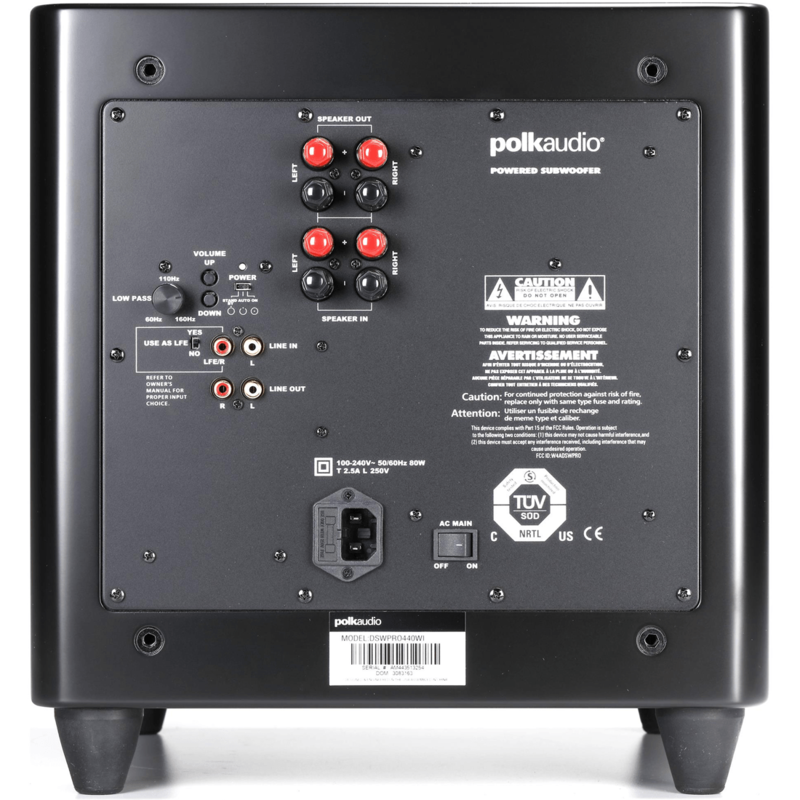 The Polk Audio DSW PRO 440wi goes anywhere you want the extra boost of realism that only solid low-frequency effects can provide. The Polk Audio DSW PRO 440wi uses a 10″ Dynamic Balance composite polypropylene cone driver for deep, accurate response with low distortion. 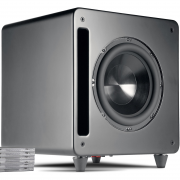 For a smoother response and improved durability, the woofer utilizes a rubber surround. 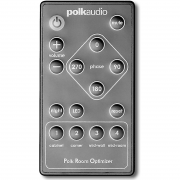 By using a state-of-the-art Klippel Distortion Analyzer, Polk Audio is able to optimize the woofer’s motor structure, voice coil alignment and suspension for the best possible performance even at extreme listening levels. 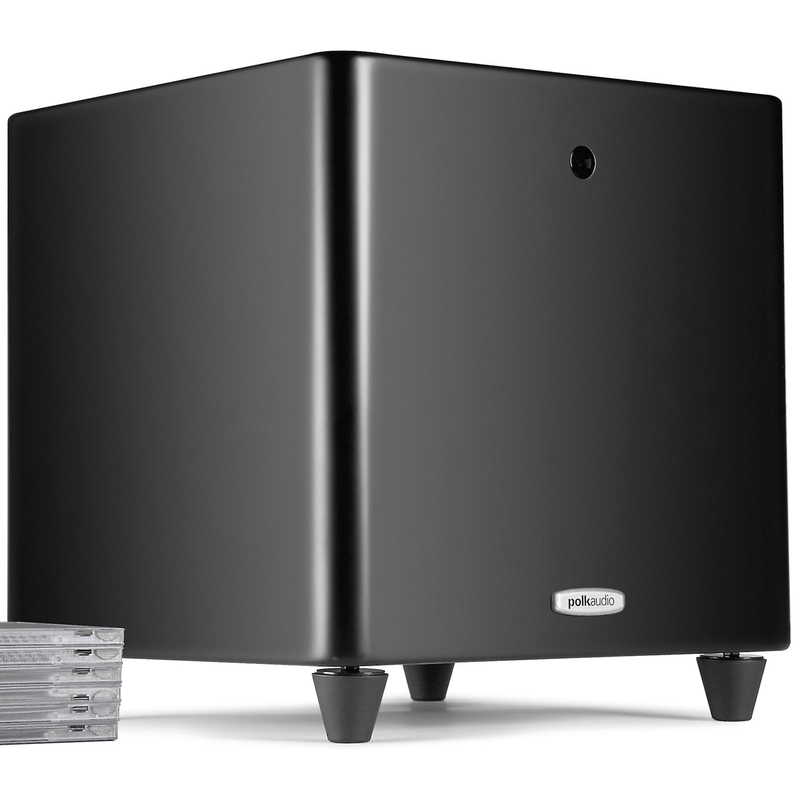 The subwoofer is powered by a high-current Class D amplifier producing 200 watts RMS power (400 watts Dynamic power) that supplies clean power for loud bass and a wide dynamic range necessary to recreate a life-like experience in your home. The efficiency of a Class D digital amplifier translates into high-power, and cool, reliable operation with low distortion. 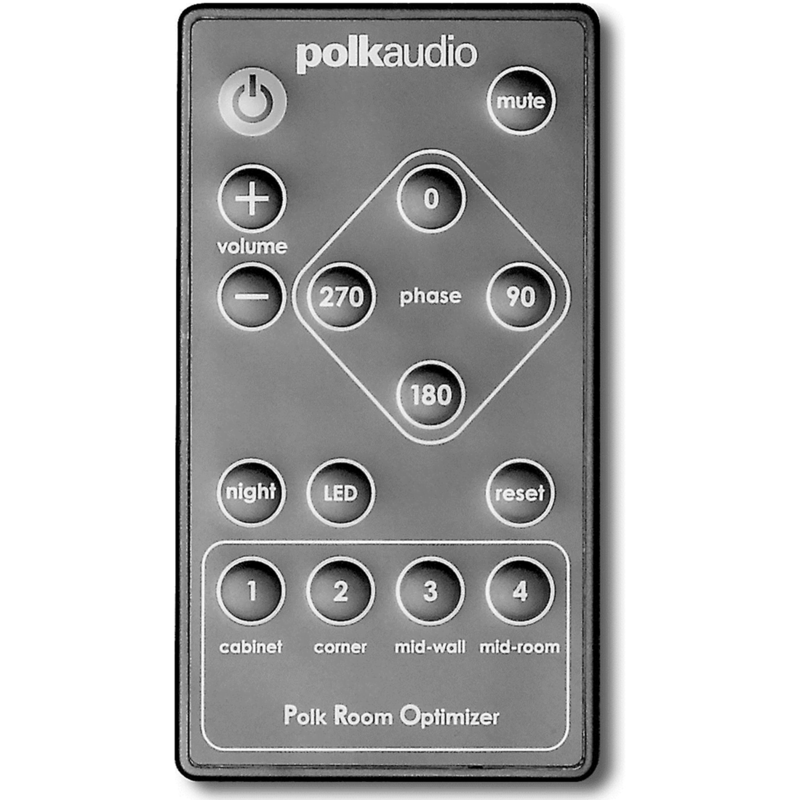 The Polk Audio DSW PRO 440wi comes supplied with a credit card sized IR wireless remote control which operates the following subwoofer controls – Volume, Mute, Phase, Night and Polk Room Optimizer. All commands are sent to the subwoofer via IR control. 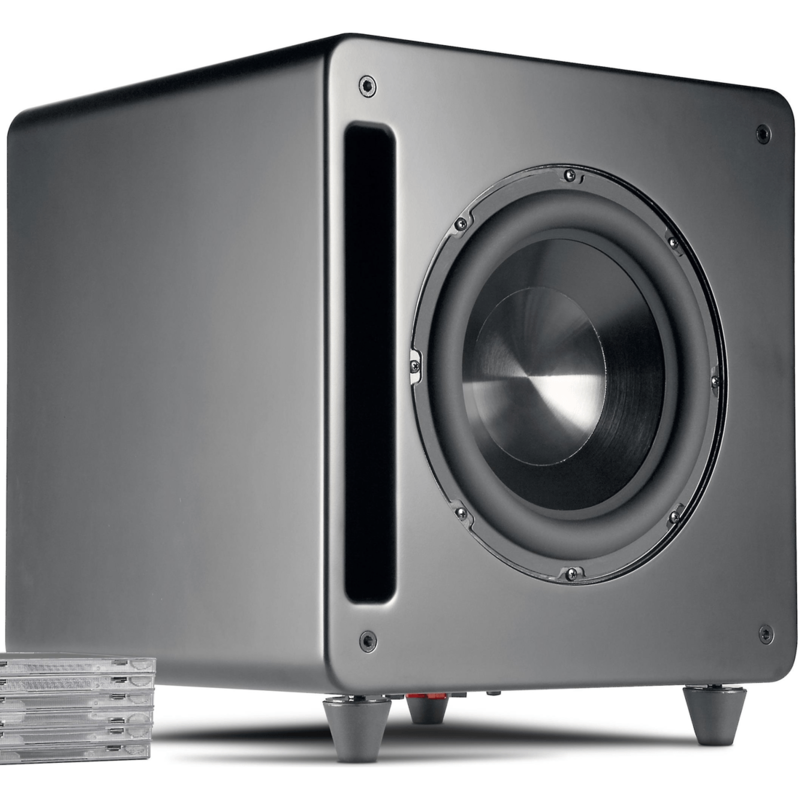 The IR receiver is located on the front of the subwoofer when the subwoofer is its downward firing configuration. There is a blue LED behind the woofer’s logo badge which blinks to confirm the subwoofer has received and responded to the remote’s instructions. The LED feature can be turned off. This technology maximizes acoustic output as it reduces audible distortion. Feed Forward is a zero latency system that maximizes dynamic output of the subwoofer system without relying on slow responding feedback techniques. 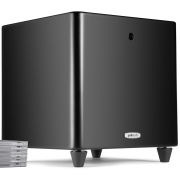 What you’ll hear is quick, precise bass output with minimal audible distortion, even at loud volume levels.